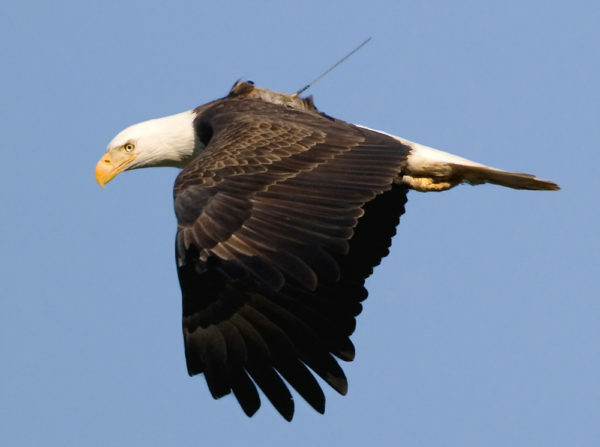 An adult eagle hunting within the upper Chesapeake Bay with a transmitter deployed by CCB. 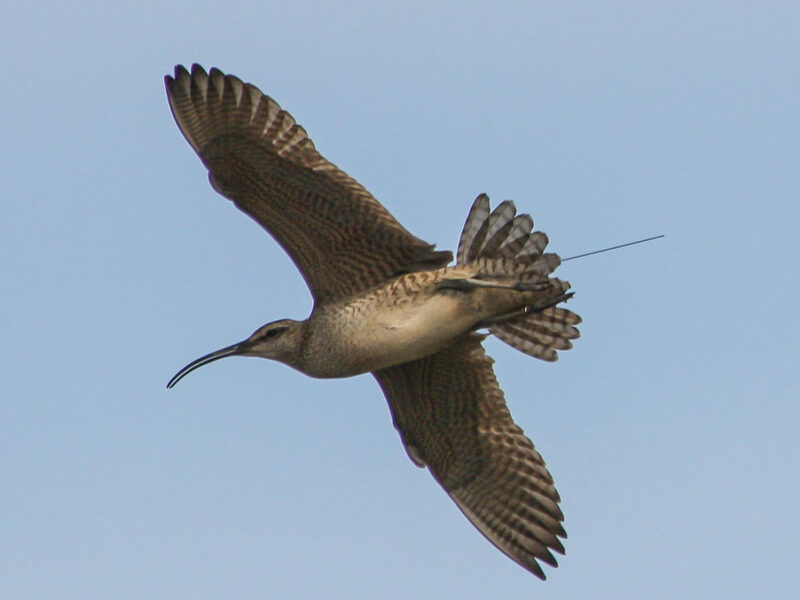 Movement information from 56 tracked eagles was used in a study to examine the structure of eagle roost networks. 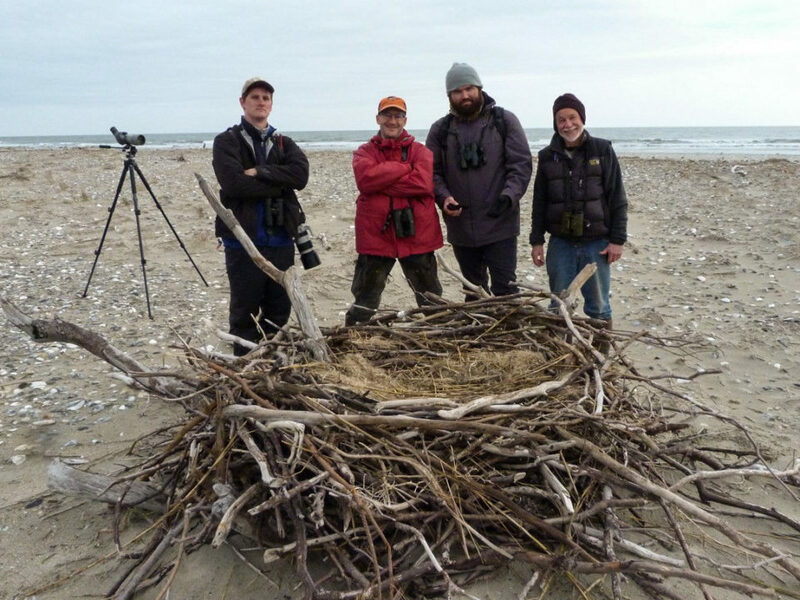 The first of its kind, the study provides important insight into the protection and management of eagle roosts. 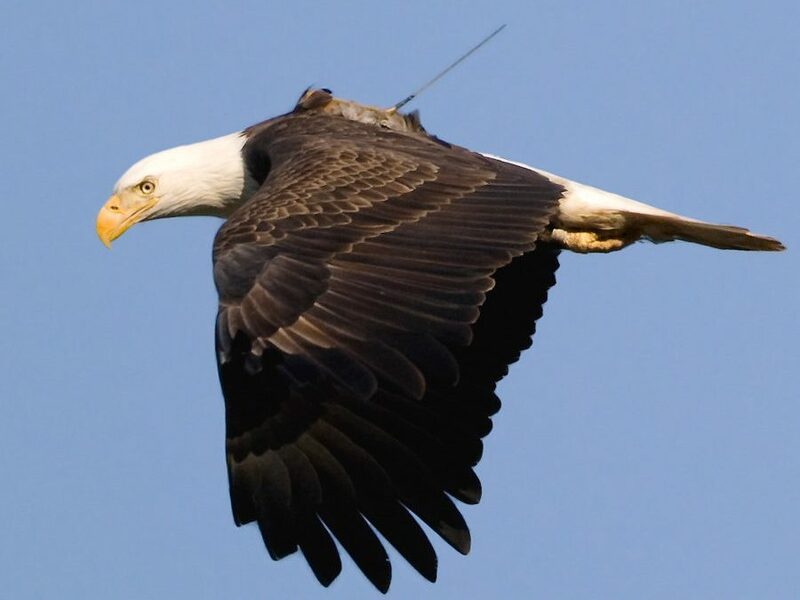 An adult eagle hunting within the upper Chesapeake Bay with a transmitter deployed by CCB. 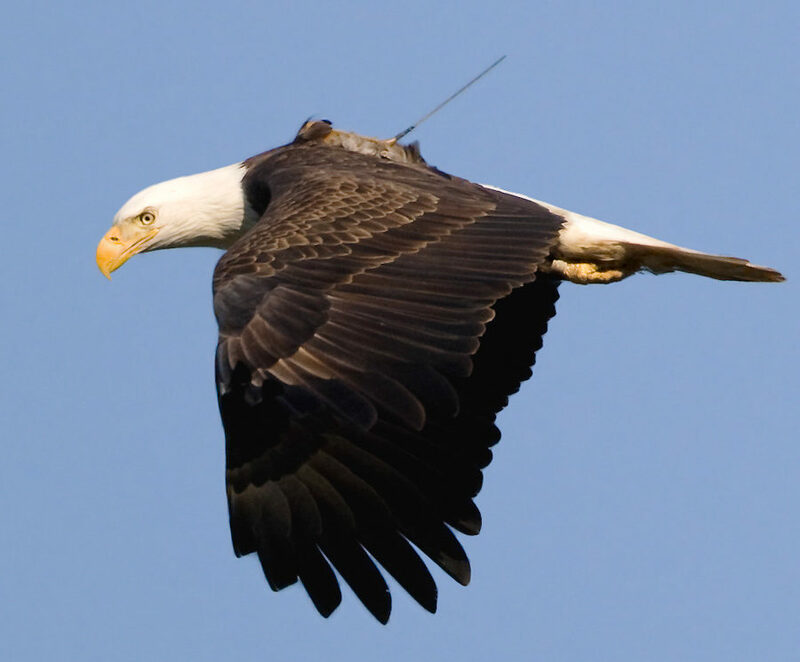 Movement information from 56 tracked eagles was used in a study to examine the structure of eagle roost networks. 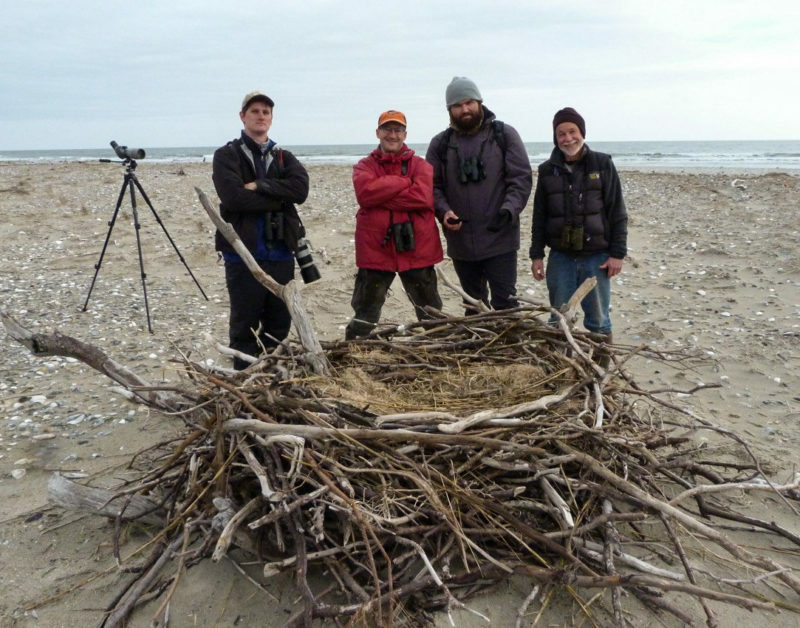 The first of its kind, the study provides important insight into the protection and management of eagle roosts. Photo by Robert Lin. Diagram of the bald eagle roost network within the upper Chesapeake Bay illustrating the interconnections between roosts. 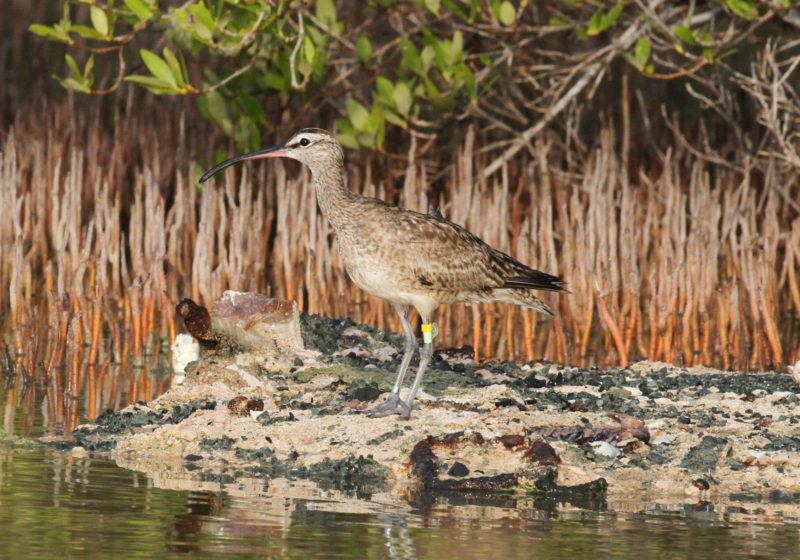 Circles indicate roosts where size is proportional to connectivity and associated with the contribution to function of the overall network. 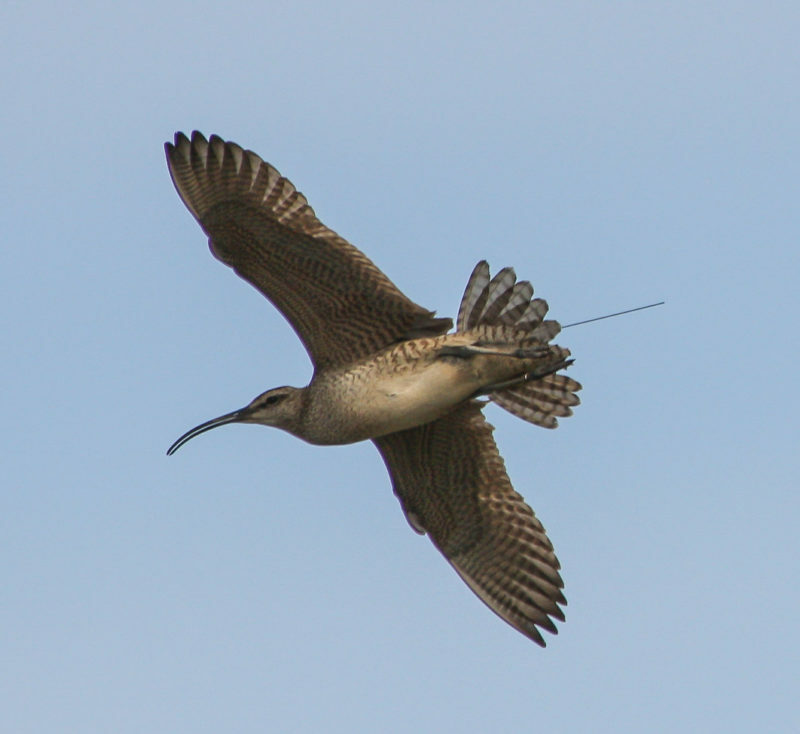 The darkness of lines indicate the strength of connections between roosts. Data from CCB. 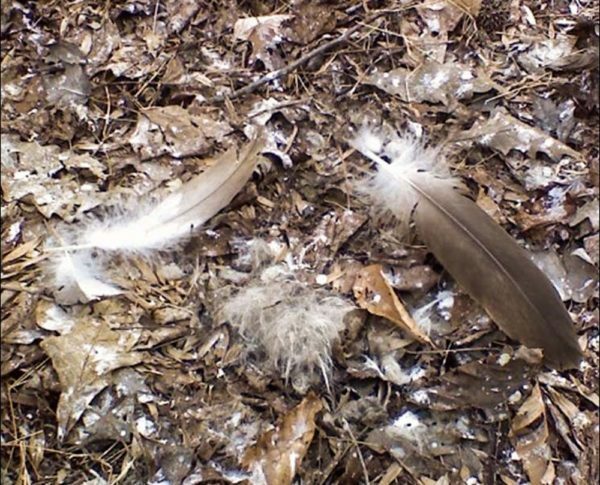 Whitewash and shed feathers are the telltale sign of a communal roost. This photo was taken under the Sod Run roost within Aberdeen Proving Ground that was shown to be the Grand Central Station of the upper Chesapeake Bay roost network. 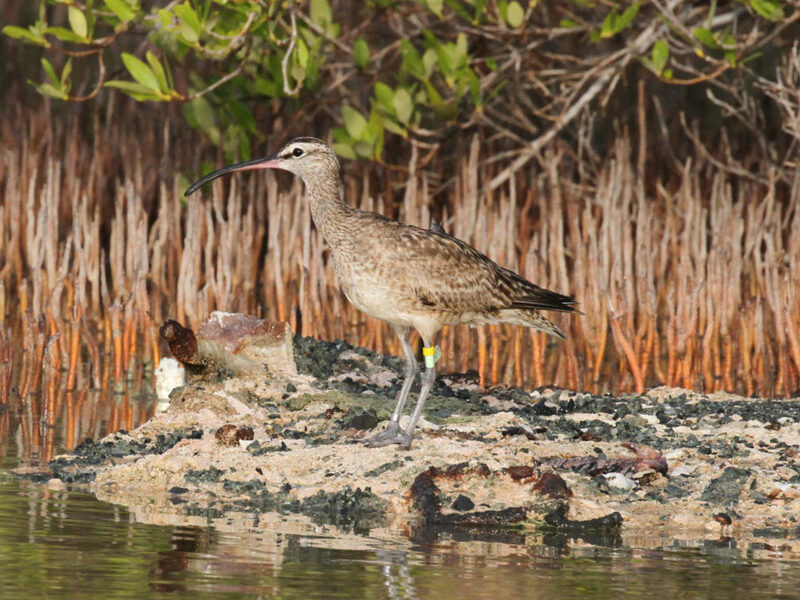 Photo by Libby Mojica. 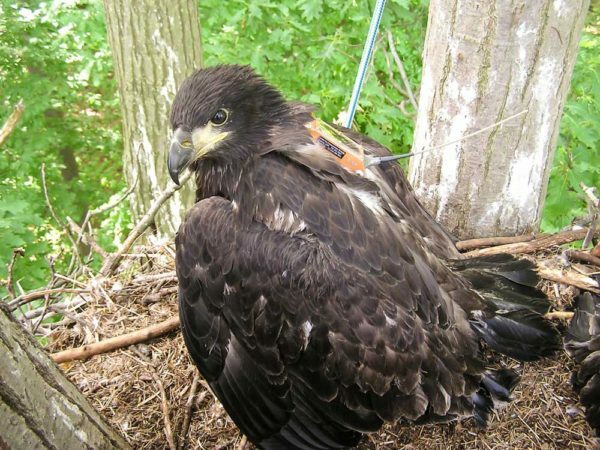 Nestling eagle fitted with satellite transmitter. 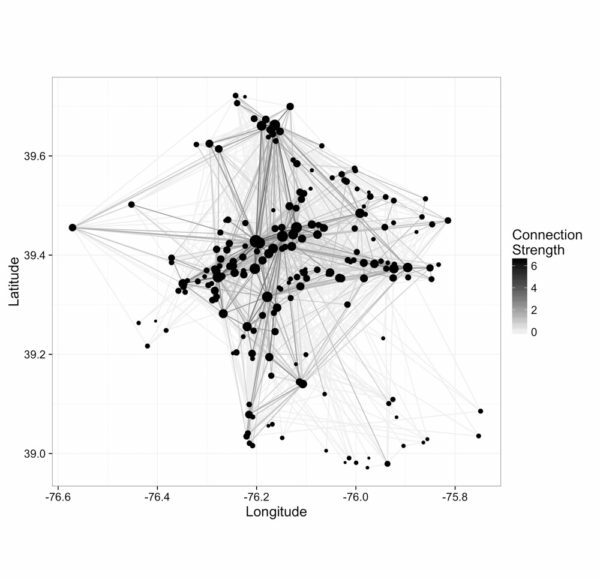 A cross-section of eagle age classes was tracked and included in the network study. Photo by Bryan Watts.